We live in a very child-centric era. Families’ schedules are dictated by multiple childhood activities. Parents feel pressure to provide quality, intentional play time with their children. They are expected to volunteer for anything their children are involved in. If your child attends a brick and mortar school, parents are expected to participate in long homework sessions with their children from kindergarten on up. If you homeschool, much of your time is centered on discovering and enhancing your child’s interests. We study our children, intentionally expose our children to new adventures and information, learn our children’s weaknesses and strengths, read books about parenting, subscribe to facebook groups and parenting websites focused on our children. It is no longer all about the bass – it’s all about the kids! And in this culture of child-centricity, it becomes easy to get lost. It becomes easy for homeschooling (or parenting in general) to become overwhelming or flat or uninspiring. It becomes easy to keep moving through the motions without any passion. Here’s one theory as to why: it’s hard to feel or inspire passion when you personally feel uninspired and neglectfully passion-less. As humans, we need challenge, novelty, passion-focused learning and mastery. 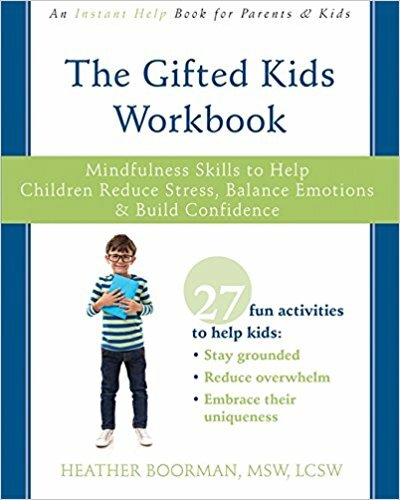 As gifted humans (because, let’s face it, our gifted children don’t fall too far from the proverbial tree), it is essential that our gifted brains seek out new information, new experiences, growth. When I feel my parenting and homeschooling hit one of those doldrum-filled stretches, I know it’s a sign that I have lost sight of my own needs for too long. And my remedy: Project-Based Learning. My job during this process? Ask open-ended questions. Provide supplies. Show encouragement and excitement for their projects. Assist in whatever ways they ask me to assist, but do not step in or solve problems for them. Currently, the 4 year old has 2 projects going: Cooking and Climbing. He’s mixing many culinary delights and disasters in the kitchen as he learns what baking soda does and why ½ cup pancake mix, 2 tsp vanilla, 1 cup oatmeal, 3 eggs, 1 cup milk, ½ cup corn syrup, 1 tsp baking powder, 10 butterscotch chips, ½ cup sugar, and 8 jumbo marshmallows surprisingly doesn’t taste all that good. We’ve been researching nearby rock climbing gyms, as well. The 11 year old is deep-diving into art and graphic design. So, first, project based learning takes some of the pressure off of me as homeschooling mom. I don’t have much to prepare. I simply ask questions and provide time and supplies. Easy peasy. Second, project based learning allows these gifted minds the freedom to explore, push boundaries, find their own passions, and learn the skill of learning and problem solving. Third (and I save the best for last! ), notice that these kids are working on their own child-led projects. Which means I’m not sitting over their shoulders teaching math or research skills or writing, etc. I am available as a support, but that’s it. I’m a facilitator, not a teacher. Which actually allows me to pursue my own project. I model the process of passion-led learning by engaging in it personally. And in so doing, I get to remember that I do actually have my own passions, skills, interests, creative outlets. I get to feel the exciting tingle of sparked passion and, in so doing, I become energized and prepared for the next round of learning and parenting. This post is part of the Gifted Homeschooler's Forum February BlogHop. For more great tips on strategies to get through those difficult days of homeschooling your gifted child, click here! Newer PostParenting These Kiddos is Not Hard. It's Unyielding.